Gears of Halo - Video game reviews, news and cosplay : "What is Halo?" 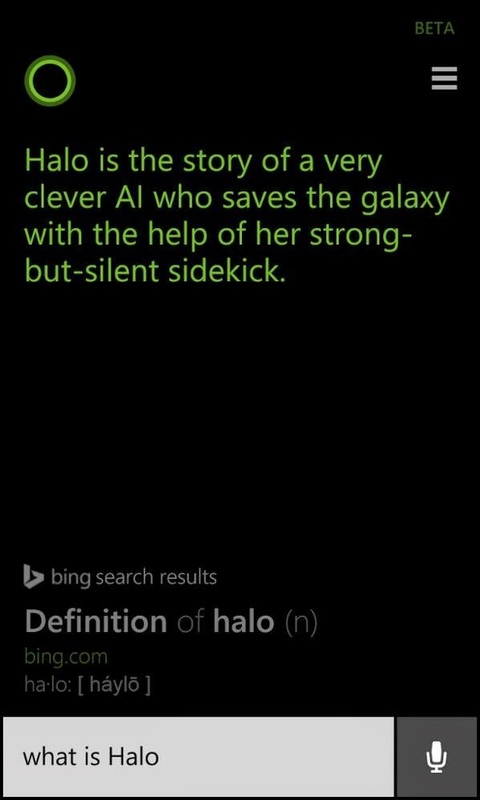 If you ask the Cortana assistant on a Windows smart phone,"What is Halo? ", you'll get an amusing answer! Nice work Microsoft! Clearly, Cortana has gone rampant!